The Notre Dame-Clemson game is the talk across much of the college football world this week. Today on College Sports Nation (XM Sirius), hosts Mark Packer and Brady Hoke were analyzing Clemson’s unusual 16-day layoff prior to hosting the Irish Saturday. Packer delivered this item: it’s the longest in-season layoff for Clemson since 1918. 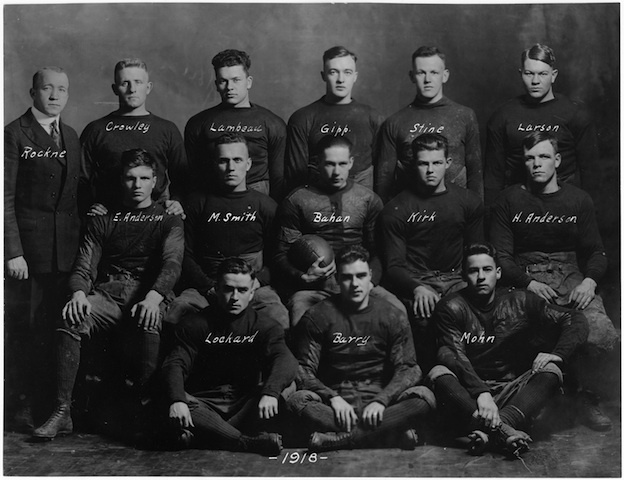 Notre Dame first year head coach Knute Rockne with his 1918 team, which included Curley Lambeau and George Gipp. Hmmm. 1918. What major events dominated the fall of 1918? Well, first there was the Great War raging across Europe. And then the worldwide Spanish Influenza epidemic, which killed millions of people, had hit the U.S. It wasn’t just Clemson (which played no games between an Oct. 5 battle with Georgia Tech and a Nov. 2 visit to South Carolina). Travel bans were put into effect across the nation, severely limiting college football. Overnight travel, especially, was off limits. So games were postponed, re-scheduled, cancelled. Colleges scrambled to find fill-in opponents, especially military units. Most schools saw their October schedule completely wiped out. At Notre Dame, the football team traveled to Case Tech in Cleveland for a Sept. 28 game – then didn’t get another chance to play until a Nov. 2 visit to in-state rival Wabash College. Four more games did get played in November, and the Irish finished 3-1-2 under first-year head coach Knute Rockne, with a backfield that included George Gipp and Curly Lambeau. One of the ties came against the Great Lakes Naval team led by George Halas. It’s been nearly two decades since Notre Dame met the Texas Longhorns on the gridiron, but their rivalry goes back much further than that. Back to the days of Knute Rockne…the playing days of Knute Rockne. Knute Rockne in his Notre Dame playing days. Their first meeting, in 1913, marked the final game in which Rockne would pull on a Notre Dame jersey. Earlier that season, Rockne and 17 teammates made an historic trip to West Point, N.Y., where they shocked the Cadets of the U.S. Military Academy, 35-13, in a game that changed the way football would be played going forward. For Notre Dame, still a small men’s school from the Midwest, to be taking on another major trip was remarkable. “It was a two-game Thanksgiving week trip to close out the season and Rockne’s career. The squad left South Bend early on the morning of Friday, Nov. 21, to arrive in St. Louis on Saturday for a meeting with the Christian Brothers College, coached by Luke Kelly, star and captain of the 1911 blue and gold. With a heavy rain beating down on the players continuously, Notre Dame found itself scoreless deep into the second quarter. But Dorais came through with a 40-yard punt return for one score, Eichenlaub smashed through for another, and Dorais completed a long run for a third. Notre Dame won, 20-7. The team boarded the train with Austin, Texas its next destination. There, the Notre Dame squad had a friendly base of operations. St. Edward’s College, a school also run by the Congregation of the Holy Cross, opened its campus and practice field to its northern brothers. For three days, Harper’s men could recuperate from the battle of St. Louis and prepare to face a team, the Texas Longhorns, that claimed superiority in the southwest, having defeated Oklahoma and the Kansas Aggies in their previous two games. Overall, Coach Dave Allerdice’s team was 7-0 on the season, and supremely confident. A giant hunchback tackle had been treating me rough when he was sent in a s sub toward the end of the first half. He left me with a limp so that in the rest between halves, I dreaded returning, getting myself set mentally, for thirty minutes of hell. I’ve played against many strong linemen; but never against one as strong. This man was a murderer. In that – to us – terrific heat, he smashed into me like a ton of animated ice. I was glad when the half ended. In the second half, a cool northerner blew in, and with the temperature comfortably reduced, everything was rosy. We scored two touchdowns and the game seemed in the bag. But the Texas coach returned the hunchback to the line, and the hunchback returned to me. He knocked my poor, sweating, ill-treated carcass sideways, backways and always. Suddenly I had an idea. Elward, my substitute at end, was just ten minutes short of the sixty minutes big-game play necessary to win a football monogram, emblem of team membership. ‘Darned nice of you,’ said the coach as I hurried out of the game. 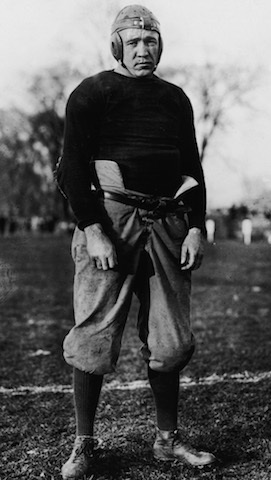 It was a self-deprecating way for Rockne to describe the close of his playing career. But his teammates, and all observers, made no mistake about his contributions to the team, as a leader, as a fearless defender, and as a ground-breaking, long-distance pass receiver. From that point forward, Rockne’s contribution to football would be not as a player, but guiding men with a relentless work ethic, creative genius, and indomitable spirit. Excerpted from Coach For A Nation: The Life and Times of Knute Rockne (2013, Great Day Press), by Jim Lefebvre. All rights reserved. We salute ESPN College Game Day for honoring college football’s roots by heading to Cambridge this weekend for The Game between Harvard and Yale. 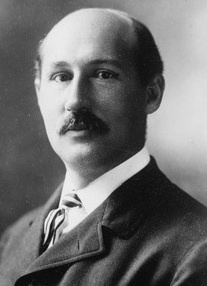 Yale’s Walter Camp is recognized as the father of college football and his number one disciple Amos Alonzo Stagg brought the game “west” to the University of Chicago. And it was growing up in Chicago as a young boy that legendary coach Knute Rockne first learned the game. Without Camp and without Stagg there would be no Rockne. The life of Knute Rockne could never be told without looking at the early formation of this great game that we love so much. 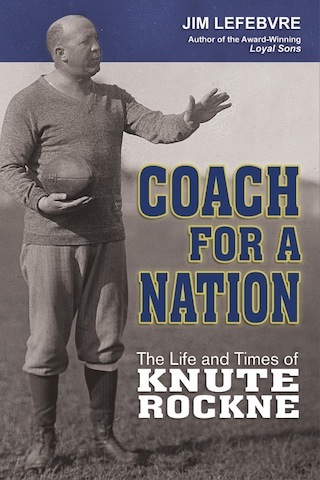 We invite you to read a sample chapter from our award-winning book Coach For A Nation: The Life and Times of Knute Rockne in which we chronicle the formation of the game. If you enjoy the chapter, consider ordering the entire book. Notre Dame’s journey to the desert to take on Arizona State on Saturday afternoon marks just the second time the Irish have visited the Sun Devils at their home field, the first being a 28-9 ND victory in 1998. The Irish have visited Tempe for four Fiesta Bowls, the most memorable (and only victory) being the 34-21 win over West Virginia on Jan. 1, 1989, to secure the 1988 national championship. But the state of Arizona played a crucial role in a previous ND national championship team several decades earlier. En route to the Jan. 1, 1925 Rose Bowl game against Stanford, Coach Knute Rockne had his Irish stop for several days of preparation at the University of Arizona in Tucson, where they were hosted by Rockne’s good friend, UA coach Fred “Pop” McHale. The follow recounts part of that spectacular Rose Bowl trip that included the stop in Arizona. The 1924 season is detailed in Coach For A Nation: The Life and Times of Knute Rockne and Loyal Sons: The Story of the Four Horsemen and Notre Dame Football’s 1924 Champions. The backdrop to the historic 1924 season was an event from the spring of that year. The Ku Klux Klan, a rising power flexing its anti-Catholic muscles, planned a major rally for downtown South Bend, and hundreds of ND students, including several football players, took the bait and went up against the Klan in what became something of a melee. The Klan used the altercation to further enflame anti-Catholic passion, painting the ND lads as ruffians out to upset a group of Klansmen who had peaceably assembled. Anyone who knew the facts realized this was nonsense, but the fact remained – ND had something of a PR problem on its hands. Rev. 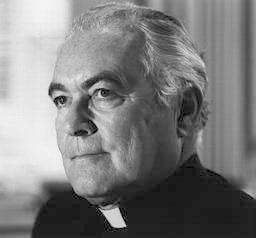 John O’Hara, prefect of religion at the time (akin to a dean of students) felt strongly that the nation must be shown a better image of Notre Dame. And Rockne presented him with the perfect platform – a powerful football team of clean-cut fellows who mowed down the strongest teams from across the land, in defeating Army, Princeton, Georgia Tech, Wisconsin, Nebraska. As the word of Rockne’s “wonder team” led by the “four horsemen” took root among the nation’s sporting fans, O’Hara, with Rock’s blessings, hatched the idea of a cross-country trip to showcase and celebrate these outstanding young men, the best face of Notre Dame. So when the invitation to meet Pop Warner’s Stanford team in the Rose Bowl materialized, so did O’Hara’s plan for a three-week odyssey to and from Pasadena. The trip would allow ND alums, local Knights of Columbus clubs, local clergy and the average fan to pay honor to the undefeated Irish. Stops were planned in Memphis, New Orleans, Houston, El Paso and Tucson, before arriving in southern California. 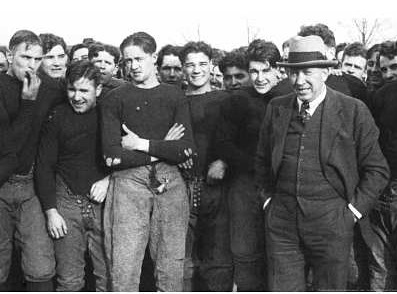 Coach Rockne and his undefeated 1924 team head west for the Rose Bowl, which included a stop in Arizona. The fetes started in South Bend, where first a packed downtown banquet, then a rousing sendoff at the old Gymnasium, ignited unprecedented passion for the team. At 10:17 on Saturday morning, December 20, from a campus nearly deserted by students headed home for the holidays, the Fighting Irish started their journey, heading first to Chicago. Almost on cue, a winter storm featuring snow, cold and fierce winds slammed into South Bend. Rockne’s support of the long trip looked wise. 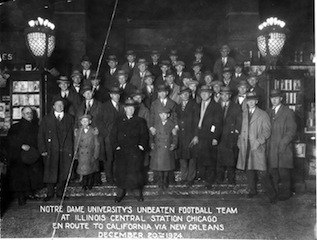 At 8:15 Saturday evening the team, cheered by several hundred Notre Dame fans who had gathered, left Chicago on the Illinois Central bound for New Orleans. The first stop, at 8:50 Sunday morning, was Memphis, where a group of Notre Dame alums and Knights of Columbus met the Notre Dame party and escorted them to St. Peter’s Church for Mass. Sunday afternoon in New Orleans, the temperature dipped below freezing and for a few moments, snow flurries fell for the first time in a decade. Despite the chill, more than 600 people gathered outside the Union Station long before the approach of the Notre Dame football train, anxious to get a look at the famous team. Among the crowd were Notre Dame alumni as well as students from Holy Cross College, which like Notre Dame was operated by the Congregation of the Holy Cross. 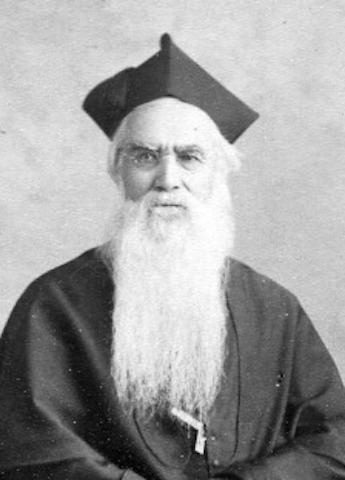 The school was founded in 1849 – just seven years after Notre Dame – when five Holy Cross priests and brothers traveled to New Orleans from South Bend. In 1879, when Notre Dame’s Main Building burned to the ground and seriously threatened the continued existence of the school, the Holy Cross school of New Orleans sold a piece of its property for $10,000 and sent the money north to help Notre Dame rebuild. Regular passengers at the station found it hard to maneuver through the huge crowd. As the Irish players stepped off the train, they were guided through the baggage room to waiting cars. Everyone wanted a glimpse. “Isn’t he simply grand,” one girl remarked of Adam Walsh. The players appeared small, a local reporter commented. Not like a team that has gone through a season undefeated against some of the nation’s best elevens. From the station, the squad was ferried by auto to the Roosevelt Hotel, where they were mobbed by well-wishers in the lobby. A “carnival crowd” pushed as they tried to get near the players; Stuhldreher had a large group offering congratulations. In the banquet hall, the players devoured a turkey dinner amid some short welcoming speeches. Monday morning, they arose for 8:30 Mass at Sacred Heart Church. After a breakfast at the Roosevelt, the team was taken on a boat ride through the New Orleans harbor aboard the Marie, the yacht of B.S. D’Antoni, president of the Loyola Athletic Council. After that, it was a luncheon at Holy Cross hosted by President Brother Matthew. By mid-afternoon, the Irish were on the field at Loyola University’s stadium, where some 500 fans gathered to watch the team go through its paces. Though it wasn’t a full scrimmage, fans were able to see the first unit mostly on defense, practicing against the anticipated Stanford plays. After practice, it was back to the Roosevelt for a performance by a group of Loyola students, then a huge banquet put on by Notre Dame and Holy Cross alumni. After Mass and breakfast Tuesday morning, the team returned to Loyola for another brief workout, consisting of passing and kicking, a signal practice and dummy scrimmage. Before departing for Houston on the Sunset Limited just after noon, Rockne thanked New Orleans for its gracious reception, but added that once in Houston, the social calendar would be cleared out and the players would get down to work in preparation for the big game. He also changed the team’s itinerary, skipping the stopover at El Paso in order to get more quickly to Tucson, where he felt the team could establish a base of operation more conducive to working up to game readiness. Unusual weather continued to precede the team’s travels, as Houston was under a mantle of ice from a storm that dropped temperatures to 22 degrees, the city’s lowest reading in years. Local trains and telegraph services were out, leaving Houston “cut off from the rest of the world,” according to one report. The idea of acclimating the team to warm southern weather was not working out. But the traveling party pressed on, rolling over Southern Pacific lines on the Sunset Limited and pulling into Houston late Tuesday night. They were greeted by the local Knights of Columbus and taken to the Bender Hotel. A noon banquet on Wednesday, December 24, honored the team, after which a practice at the Rice Institute field elicited more pessimism from Rockne. The team looked soft and slow, he told reporters, due to too many rich meals at banquets and not enough physical exertion. 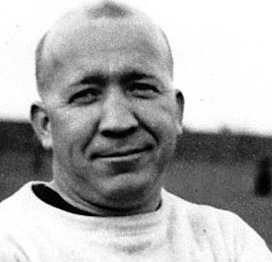 When Knute Rockne stepped off the train in Tucson, he looked up at a bright blue sky and broke into a wide grin, rubbing his hands together in anticipation. Finally they had encountered the mild weather he had hoped for. Minutes later, after a member of the welcoming committee gave him the schedule of receptions, dinners and banquets, his mood darkened. Rockne thought that his club was already showing the physical and psychological effects of too many feasts on the trip and that the players needed a different regimen. His hosts explained that special care was being taken to feed his players healthy food and allow them plenty of rest, and he again smiled and gave his approval. The stop in Tucson was originally scheduled for two days, December 29 and 30, but with El Paso off the itinerary, the team would spend four days in the Arizona city. No place on the tour was more excited to be hosting the Irish. In early December, representatives of Tucson and the University of Arizona lobbied Notre Dame officials to consider taking the Southern Pacific route west and to spend some time in their area. The university offered thorough accommodations, including use of all its athletic facilities, especially its well-maintained football field. The chef at the Santa Rita hotel, Notre Dame’s headquarters, was given instructions on what to prepare for the players. Each player’s diet was to be strictly monitored, and even the banquets would consist of simple foods. The players could purchase cigars for souvenirs, but they were expected to refrain from smoking them. The team’s train pulled into Tucson early Saturday morning, December 27, and by the afternoon, 1,500 local fans were watching the Irish at their first workout on the university field. A simple meal followed, and the players were in bed by 9 p.m. On Sunday, the team attended mass said by Father O’Hara at the Cathedral. Originally, there was no practice scheduled for Sunday, but Rockne decided to add one to make the best use of the good weather and available time. “We have been giving alibis for four days,” the coach scolded his players. “We are going to get down to business. We’ve got a reputation to uphold and we are going to win from that coast gang.” The players practiced blocking, tackling and running back kicks. For the final portion of the workout, the stands were cleared of onlookers so that the Irish could practice some plays they planned to use against Stanford. After the session, Rockne expressed satisfaction with the workout, saying his players were returning to form. The local press hailed the Irish players as regular college students who happened to play football well; many had their school books along, preparing for final examinations which awaited them in mid-January back on campus. A century ago this week, Notre Dame’s football team ventured from South Bend to play a premier opponent in a challenging environment; lost a game that included some controversial officiating; returned to receive accolades; and resolved to use the loss as a springboard to a greater future. The destination was New Haven, Conn., where the mighty Yale Bulldogs awaited. Yale was the first name in football, power of all powers. It was where Walter Camp essentially created the game, and in 45 years, Yale had produced numerous national champions and All-Americans. In the game’s aftermath, Notre Dame’s coaches used the defeat to reinforce the proper attitude needed to approach a big game — and also introduced a strategic change that would alter how the school played football for decades to come. The cheers finally subsided, though, and at Monday’s practice, it was back to work. Eichenlaub had been allowed to stop at his home of Columbus, Ohio for some rest, and Bergman was out with his injury. The rest of the Irish backs received instruction in a new twist of offensive strategy that Harper had learned from (Amos Alonzo) Stagg at Chicago—the backfield shift. Stagg had begun experimenting with various shifts a decade earlier, and they had brought his Maroons success. In essence, shortly before the snap from the center, the four backs would shift from a standard T-formation to any of a number of other formations, such as a “box” with four corners. The snap could go to any of the four backs, creating tremendous versatility in the plays that could be run out of the formation. Ideally, all four backs would possess a variety of skills, as one individual might be called upon to provide interference on one play, and kick on the next. 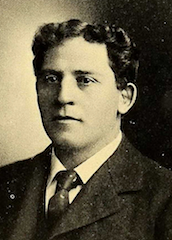 Dr. Henry Williams at Minnesota had also trained his team in the advantages of using the shift. The backbone of the shift involved using brains, speed, and perfect execution to gamble for big yardage, rather than smashing into the line for a conventional gain of two or three yards, and plenty of bone-jarring collisions. Harper and Rockne were discarding the old “push and pull” system, in which both teams just slugged it out for one short gain, or loss, at a time. “If you want to play that kind of a game,” Rockne noted, “you might just as well have a tug-of-war on the field and do away with intricate formations and signal calling.” Coaching the shift, and all its many variations and possibilities, engaged Rockne’s scientific and curious mind. As coach of Notre Dame’s ends, he added another twist to the strategy, suggesting that while the backs shifted, the ends “flex” to take a different angle in blocking their opposite number. Together, it was an entirely new approach to the game. Notre Dame football would never be the same. In the years to come, especially after Rockne took over as head coach in 1918, Notre Dame football was known more for its shift than just about anything. Rockne, an intense student of timing and precision, had his four backs swinging into their new positions in such intricate syncopation that they seemed to be in constant movement. For several years in the 1920s, the game’s Rules Committee tweaked the rules in an effort to get the Notre Dame shift to come to rest before the ball was snapped. But new rules or not, Rockne’s men made the Notre Dame Shift the most feared strategy of its era…and rode it to national championships in 1924, 1929, and 1930.